Sometimes when you've had a bad day, there is no way to change it. 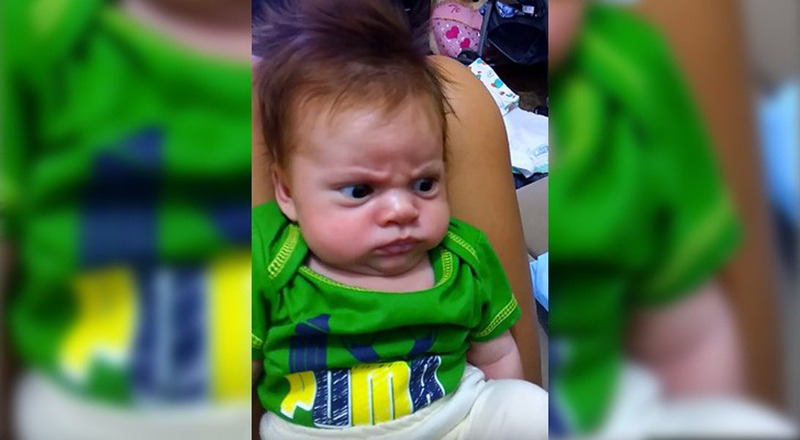 It seems the case of this baby, who has a sullen expression and has no intention in changing his mood. No matter how hard the mother tries, he smiles only for a split second...!